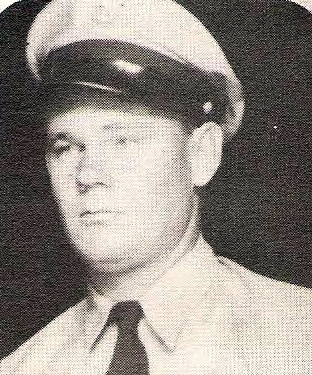 CBM Dennis Wade Orr, son of Mr. and Mrs. Dan Orr, Graham, husband of Johnnie B. Worsham, attended Graham High and N. Dallas High. Entered Navy in 1943, trained at Camp Peary, Va. and California. Served in New Guinea and Australia. Awarded Amer. Def., APO with 1 Star and Victory Medal. Discharged in 1945.